Trix and Fly getting to know each other. The new puppy around the house is Trix, a 10 month old Border Collie/Australian Shepard mix. Lots of energy and self centered like only a puppy can be. Fly gets along with her well, although she has had to explain to Trix about keeping to her own food bowl. Trix, on the other hand, doesn’t understand why everyone doesn’t want to play with her 23 hours per day. She’ll start pestering Fly who will just get up and walk away when she’s not interested. 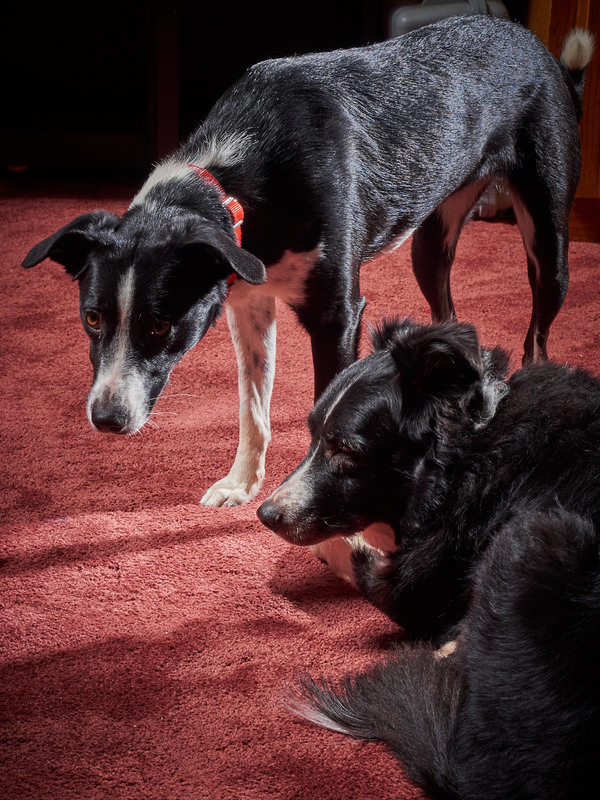 This entry was posted in Pontifications and tagged Border Collies, Fly, Trix on December 23, 2014 by Phil Ryan.